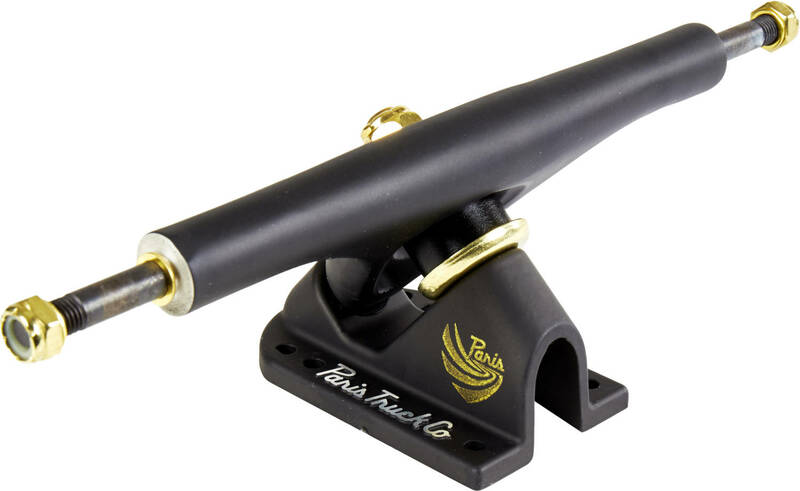 These V2 trucks from Paris Truck Co. Are desinged for longboards with a deck width of about 9-10". 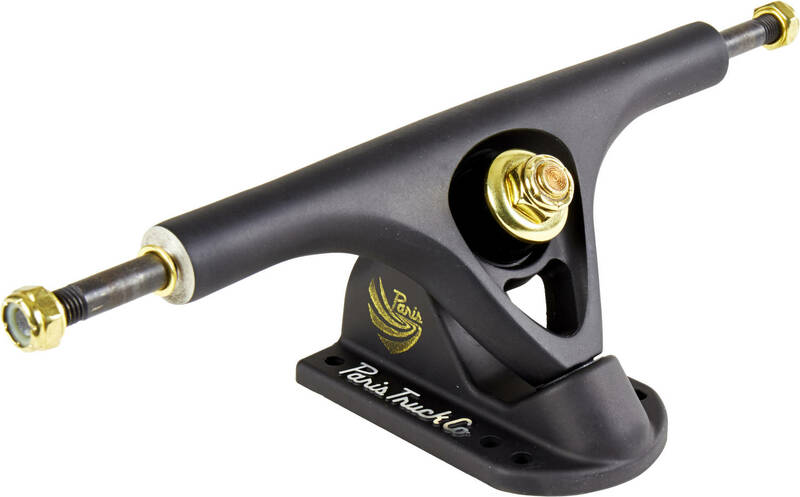 The Hanger and BasePlate is constructed of high quality materials for optimal durability and the baseplate with 6 mounting holes comes in a 50-degree angle like all Paris trucks. The V2 improvements include. Redesigned, stronger faced hangers. Tougher, longer lasting pivot cups. Improved kingpin clearance for a better carve. Also comes with Divine 90a bushings that provides good rebound and vibration dampening. Well made, well finished and overall a high quality product.